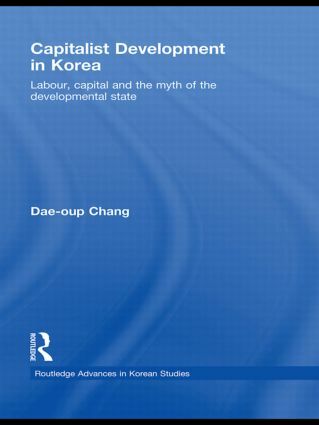 Contrary to the widely-held view that the East Asian "developmental state" is neutral in terms of the relationship between capital and labour – a benign co-operation between state officials and businessmen to organise economic development – this book argues that in fact the developmental state exists to promote the interests of capital over the interests of labour. Dae-oup Chang asserts that there has been a deliberate mystification concerning the reality of this process. This book presents a radical, Marxist critique of state development theory. It both explains the exploitative functions of the state, looking at the emergence of the particular form of capitalist state in the context of the formation and reproduction of capital relations in Korea; and also traces the origin and development of the process of mystification whereby the capitalist state has been characterised as the autonomous developmental state. In addition, the book provides a comprehensive analysis of labour relations in Korea both before and after the 1998 financial crisis, demonstrating continuing capital relations, state transition and class struggle.